Malcolm Ingram introduces us to gay men who dig big dudes who are stockier and hairier than the airbrushed ideal served by up lifestyle magazines and underwear ads. 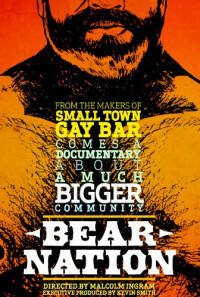 From 'bear runs' - the circuit parties of the ursine - to men proudly accepting their own bodies (and the beer bellies the want to cuddle), Bear Nation proves love really does come in all shapes and sizes. Regions are unavailable for this movie. Click the "Watch on Netflix" button to find out if Bear Nation is playing in your country.